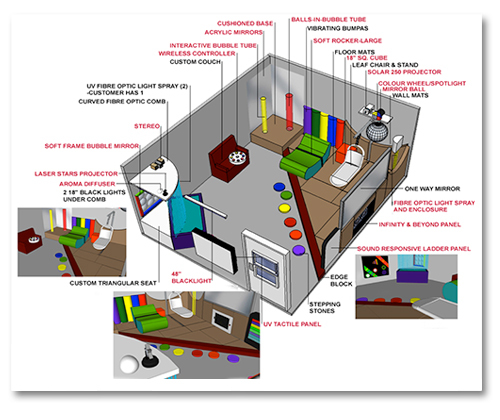 What is the Multi-Sensory Lab all about? 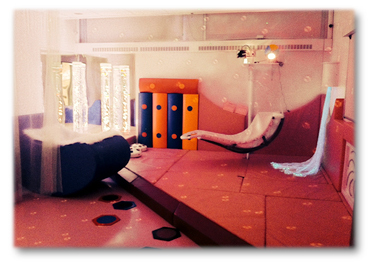 Incorporates sensory equipment to help clients reach/advance their education and therapy goals. The room fosters an environment that blends sights, sounds, textures, aromas and motion to provide stimulation of ones’ primary senses. 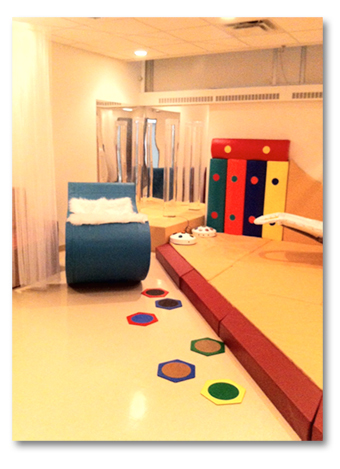 This client-centered room can be modified to meet specific sensory needs. The most important benefit of all is that the client will have the opportunity for a meaningful leisure experience! 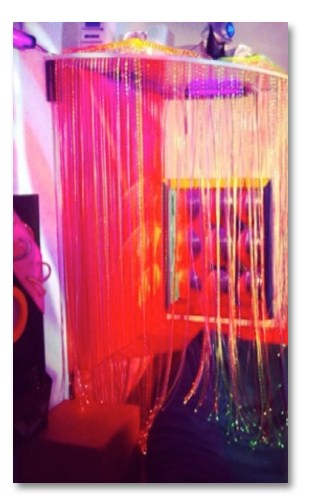 The concept of a Multi-Sensory Lab was created in the 1970’s by Jan Hulsegge and Ad Verheul, two Dutch Therapists. The two therapists worked at an institute for people with intellectual disabilities. It was during one summer that they created an experimental sensory tent for one of the institute’s annual summer fairs. The tent was full of basic equipment and objects that would essentially create some sort of effect. For example, they had a fan that blew shards of paper into the air or bottles full of scented liquids. The experimental tent was a huge success and it appeared that people with intellectual disabilities were actually demonstrating positive verbal and non-verbal reactions and feedback while visiting the tent. 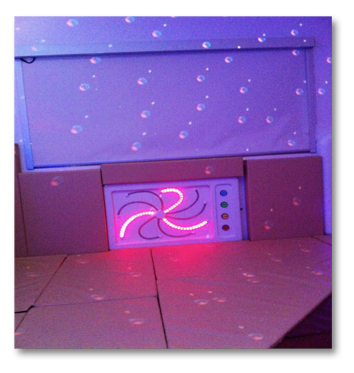 The two therapists coined the sensory experience a "Snoezelen" experience. Snoezelen is actually a combination of the two Dutch verbs "snuffelen" (to seek out/explore) and "dozelen" (to relax). Rocker, Tactile Stepping Stones Vibrating Bumpa and Soft Mats Galore! 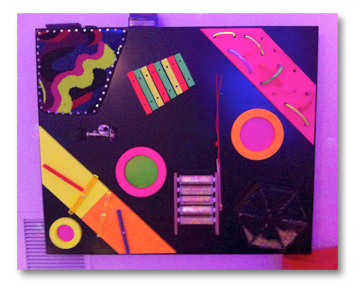 Tactile Panel - Explore different sounds, textures and visual sights with this neon interactive panel that glows with black lights. Project images on the walls, ceiling and floor and watch your room transform before your eyes! 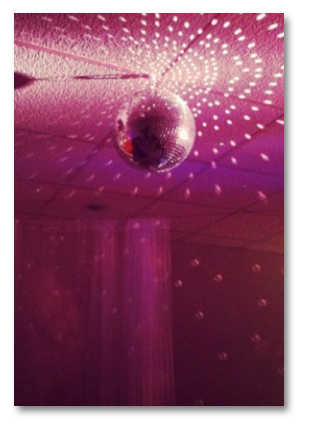 Mirror Ball - This stationary reflective beauty hangs from the ceiling of the lab. Simply shine the projector or rotating colour-wheel on the ball and watch as patches of reflective light are dispersed on the walls, ceiling and floor of the lab. Katharine Wheel - Interact by touching buttons and watch the colours and patterns change before your eyes. Provides clients with optimal levels of freedom and choice. 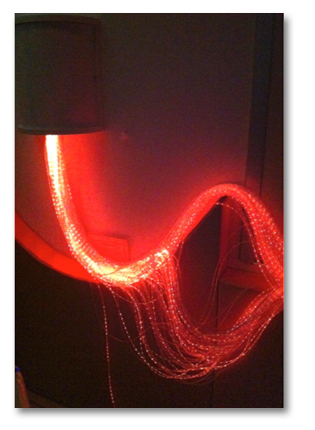 Fiber optic curtain - The neon fibre optic strands hang like streamers around the corner nook of the lab. Cozy up on the cushion and hold strands of touchable light in your hands! Fiber Optic Fountain - This fountain of constantly changing light can rest on the lap of client using the "swinging leaf chair". Fibre Optics - "fountains of touchable light!"